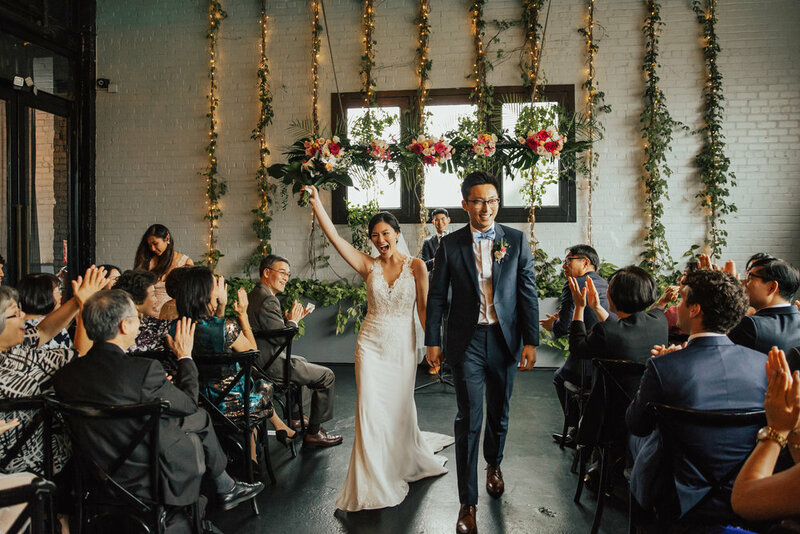 Despite the rainy day, Minjae & Sharon brightened their wedding with their love and non-stop laughter! We had a such a wonderful time feeling the happiness of the friends and family that surrounded them as they said their vows. By far, one of our favorite parts of the day was the traditional Korean tea ceremony. It was so fun to see Minjae give Sharon a piggyback ride around the room! This will definitely be a Brooklyn wedding to remember.